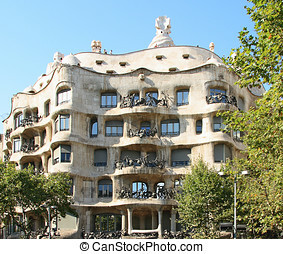 Casa mila la pedrera, barcelona. 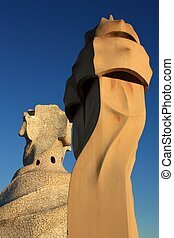 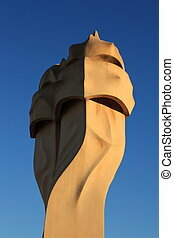 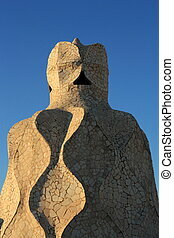 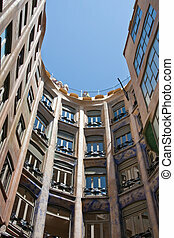 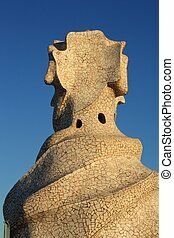 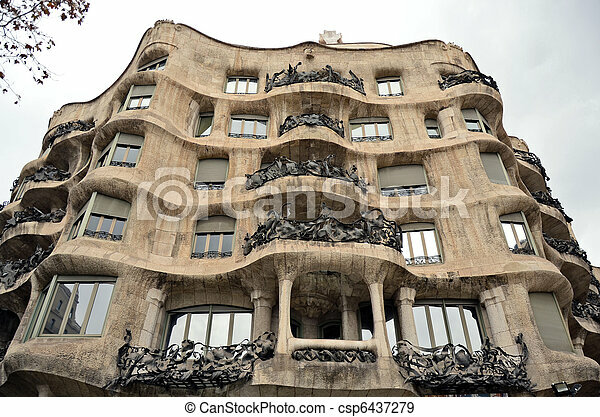 Casa mila, the famous building created by antonio gaudi. 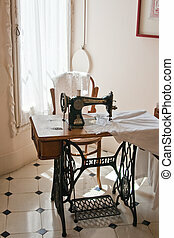 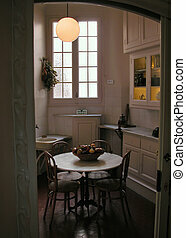 The antique kitchen in the Casa Mila La Pedrera Barcelona Catalonia Spain. 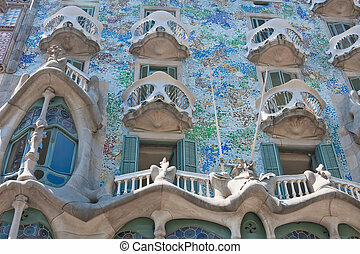 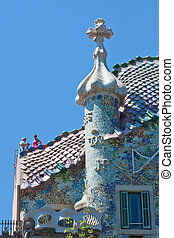 Designed by Gaudi. 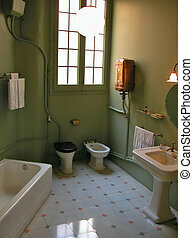 The antique bathroom in the Casa Mila La Pedrera Barcelona Catalonia Spain. 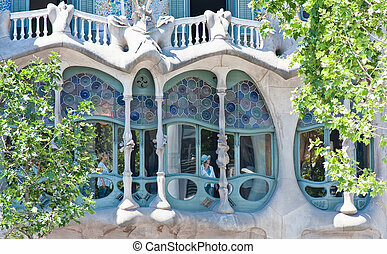 Designed by Gaudi. 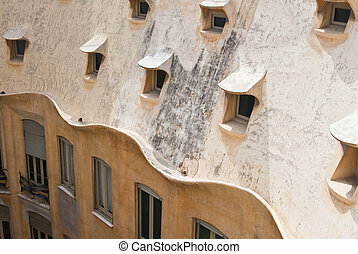 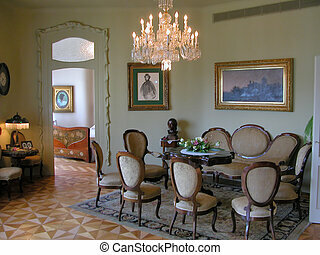 The antique living room in the Casa Mila La Pedrera Barcelona Catalonia Spain. 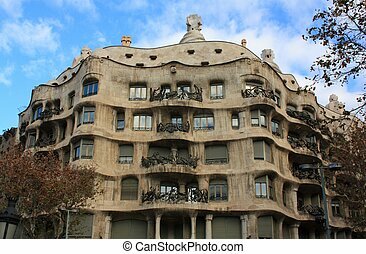 Designed by Gaudi.